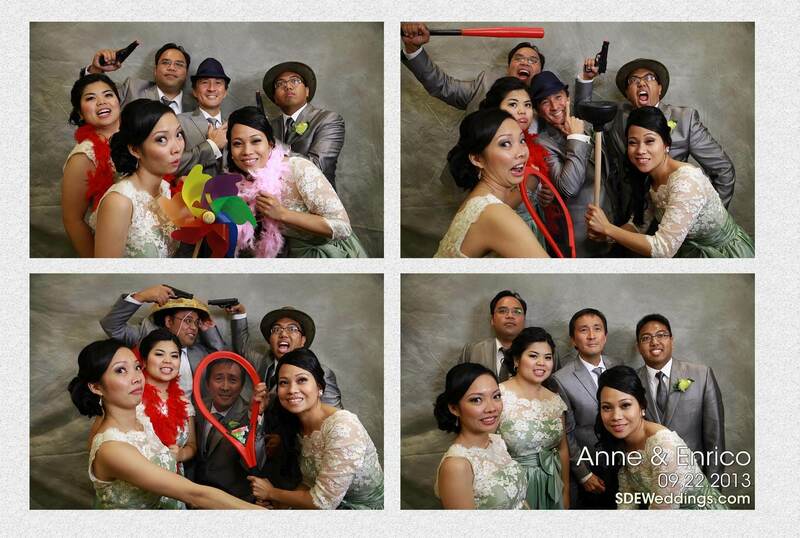 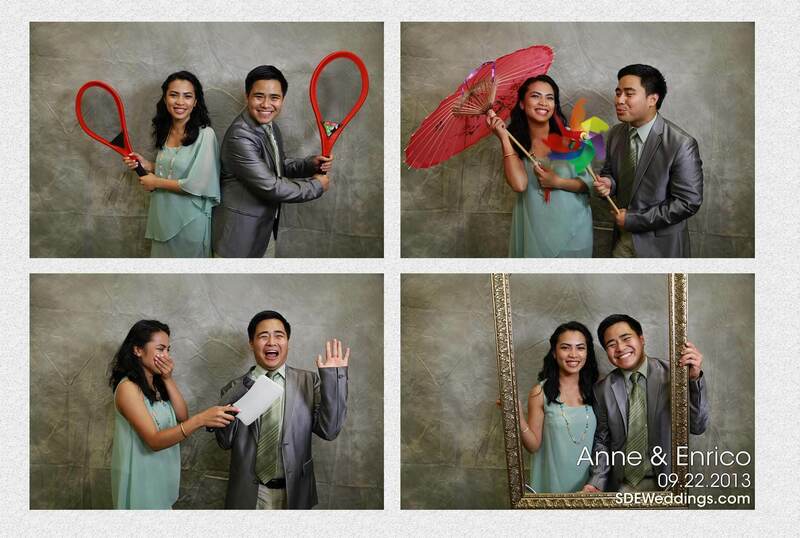 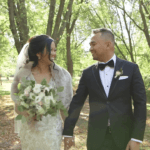 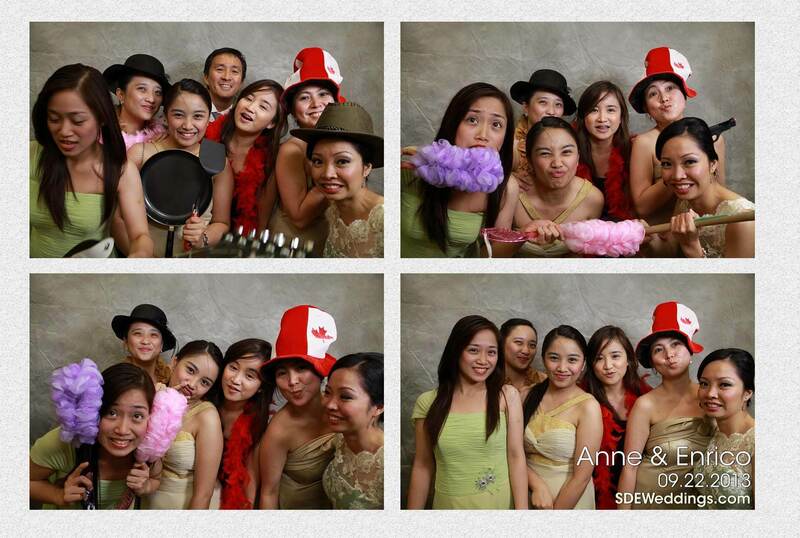 On Saturday, September 22nd, 2013, we were hired to provide wedding videography and wedding photobooth services for Anne & Enrico’s wedding. 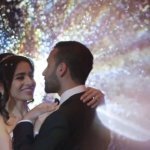 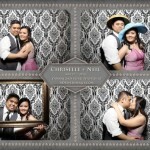 We are still currently working on editing the wedding video from the wedding. 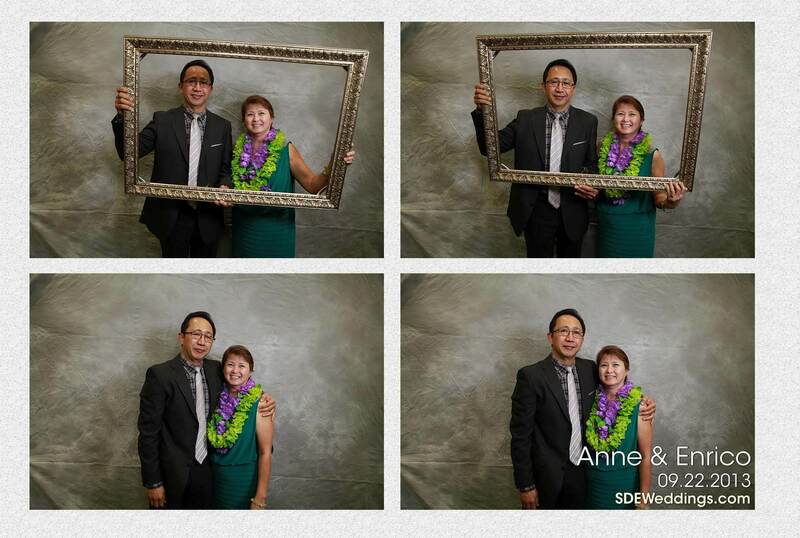 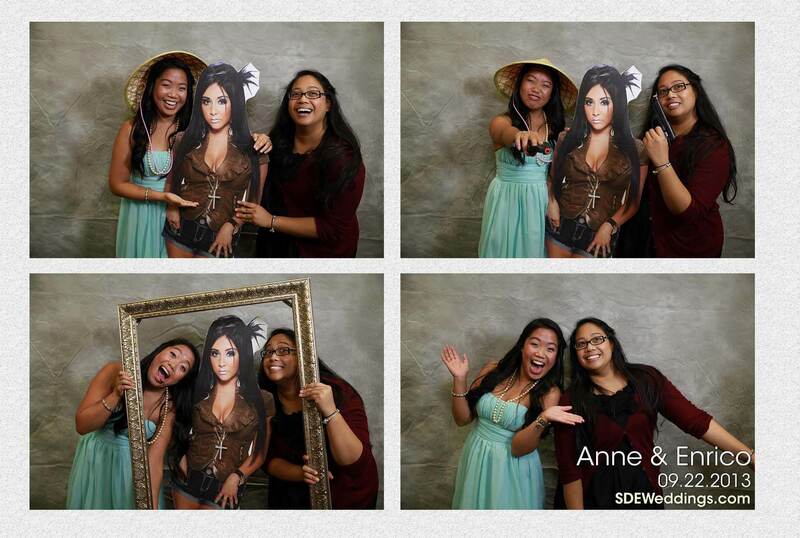 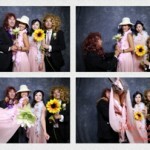 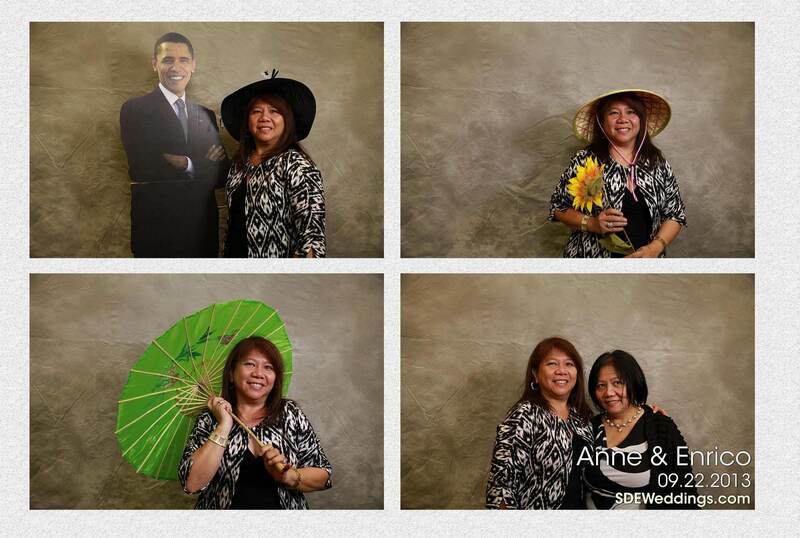 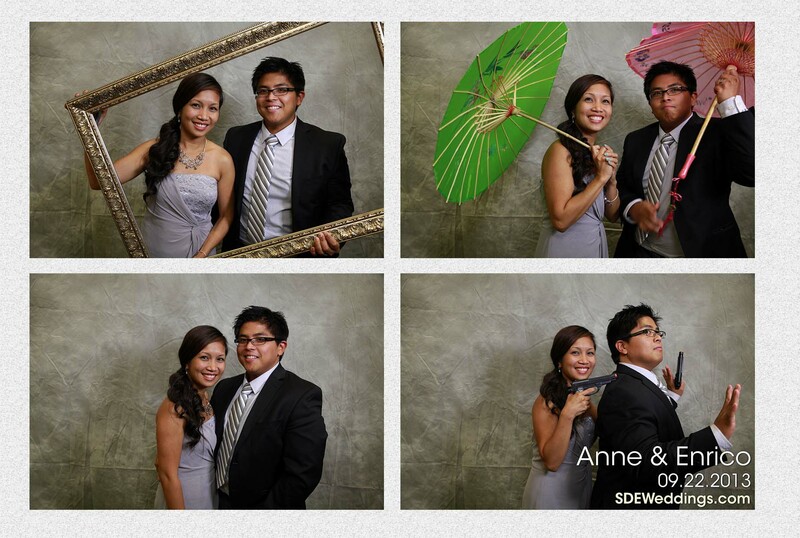 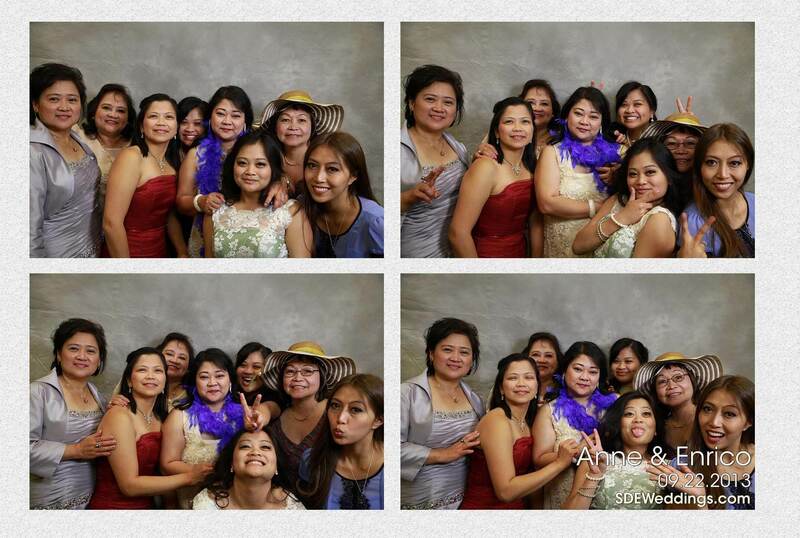 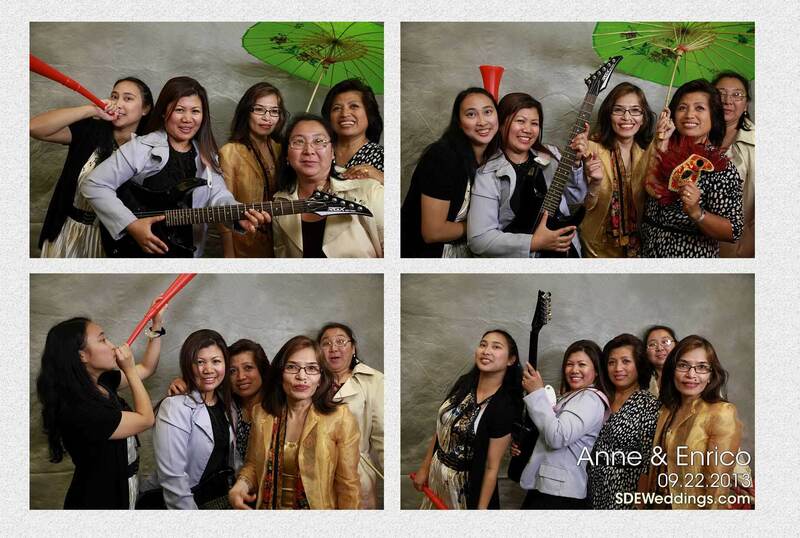 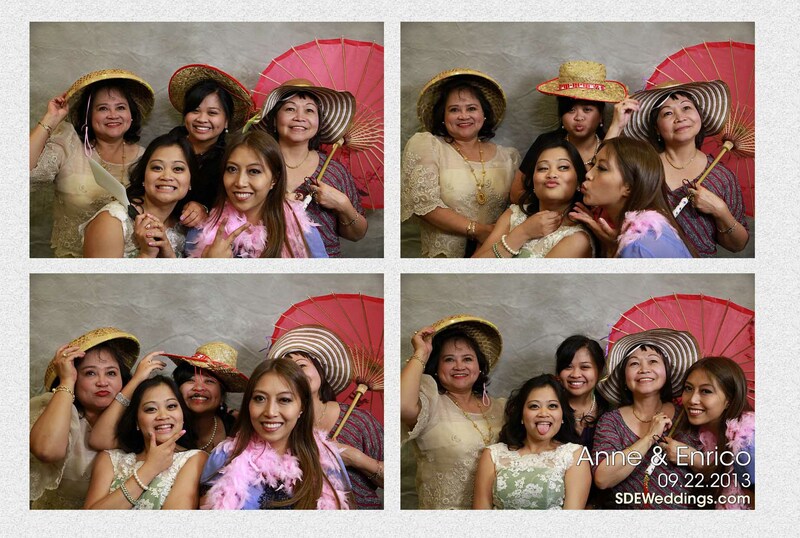 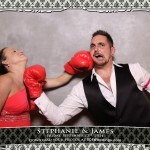 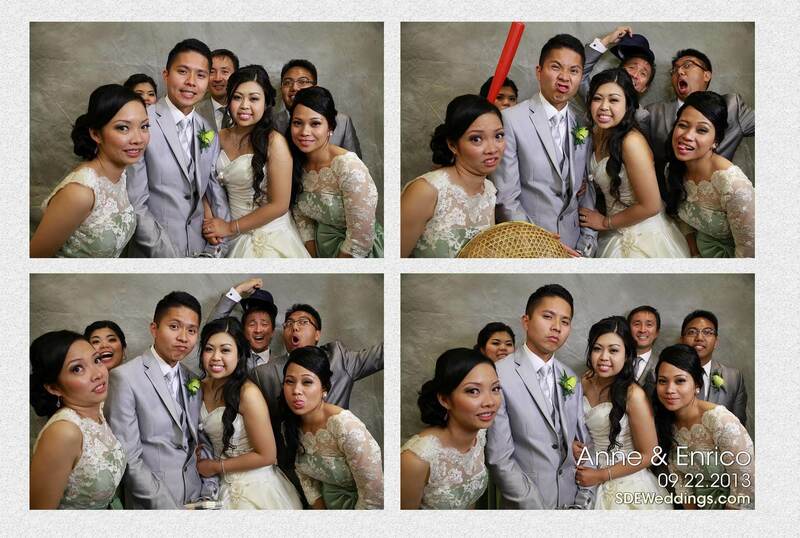 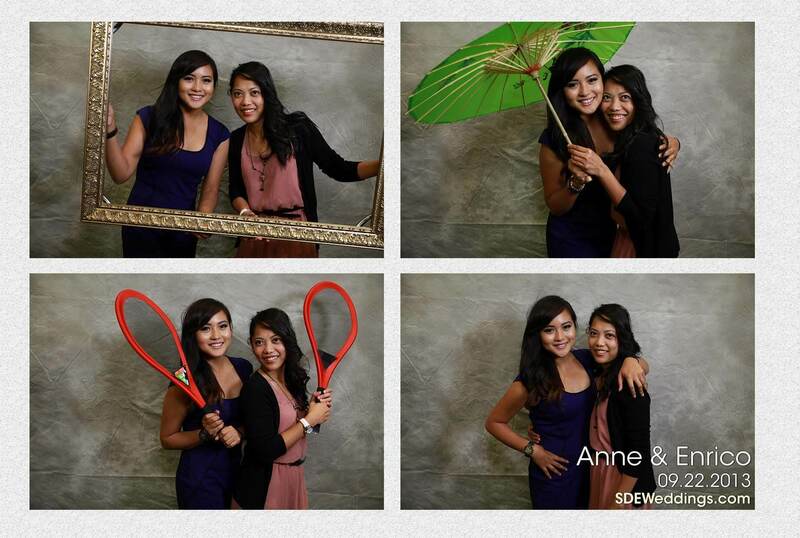 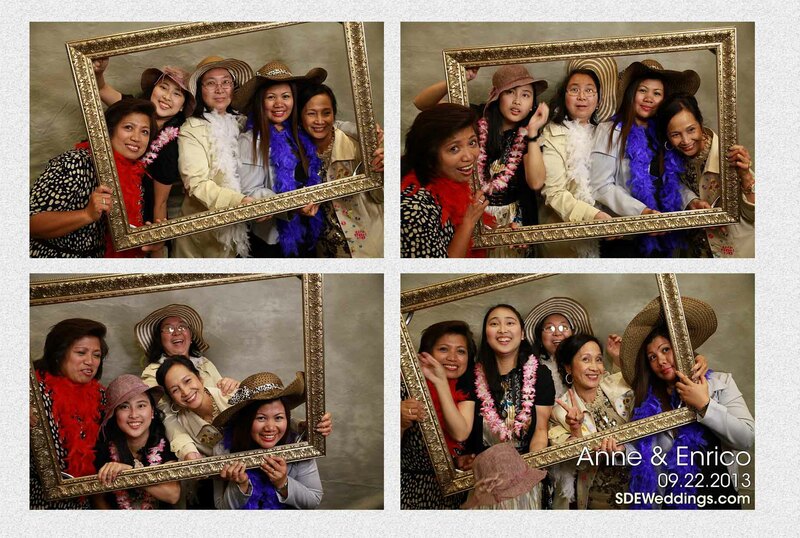 In the mean time, here are some of the photos from our photobooth that were taken during the wedding reception at the Deer Creek Golf & Banquet Facility. 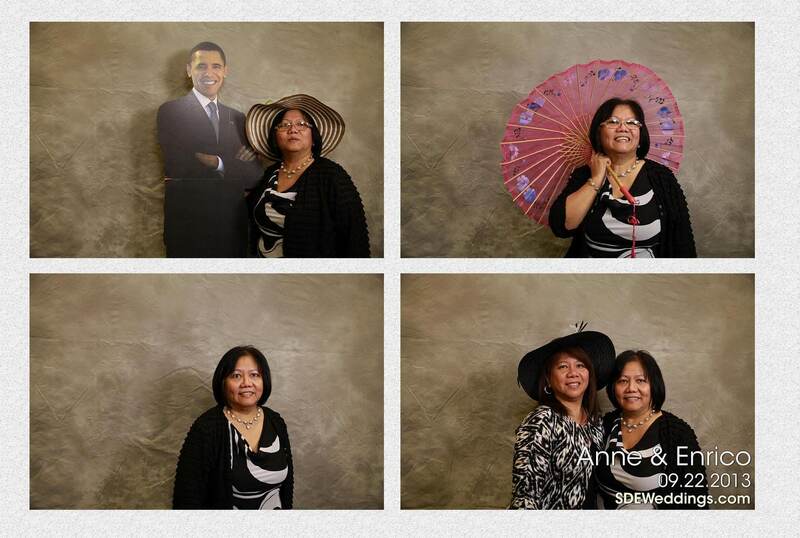 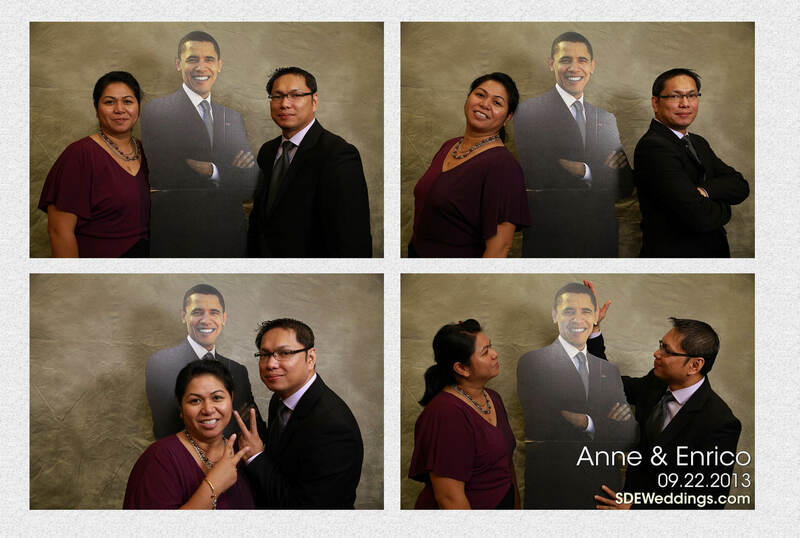 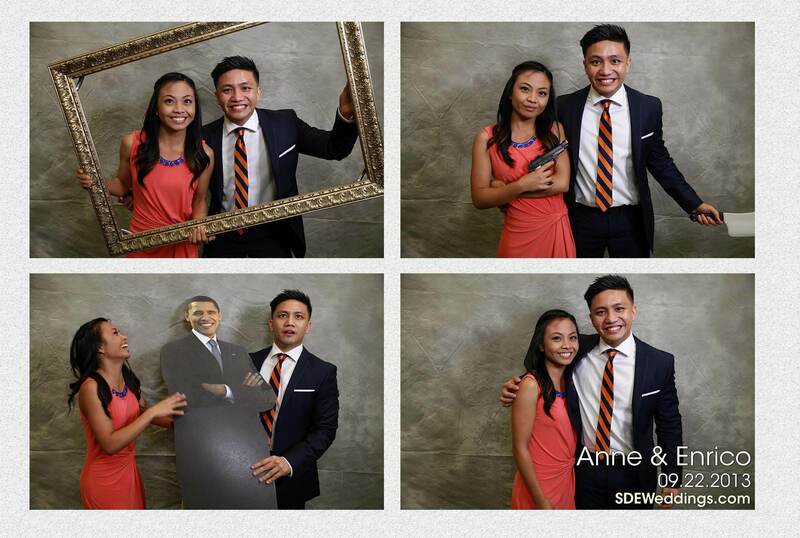 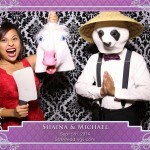 This was also the first time that we added a life size stand up board of Snooky, Obama and a bear to our photobooth props.